Many marketers jump on Facebook and expect instant results. They often see other business leaders seeing success and question why they aren’t experiencing the same results. The truth is that although some Facebook marketers may make it look easy, chances are high that the ones that are driving real business results did not just get lucky. Many have been in the trenches for months and years doing research on their community, testing different methods to drive engagement, integrating social media into their business and list goes on. Knowing who is in your community is key to success for any and all Facebook marketers. Often times who you think is in your community is far different than who really is or who you wish was in your community. As part of our “Get a Grip” Series on Facebook Marketing where we help marketers look at key aspects of their Facebook strategy, this post helps Page Admins dig deeper into the core behind your actual marketing. This is IMPERATIVE in order to ultimately be successful. It could be you are still in early growth stages of developing your community or you could be several years into leveraging Facebook to meet business goals. Regardless of the size of business, how many fans you have, or how long you have been doing Facebook marketing it is important to know your audience. Hopefully when you started using Facebook you set goals, objectives and a plan to attract, connect with and engage your target audience. If you didn’t, well no better time than the present. As we always recommend, you must take time to plan and set goals for what you want to accomplish. If you haven’t already done so, now is the time to clearly define your target market. Who do you want to attract? Define the specific demographics of your target market. Who are they? How old are they? What specific industry or niche do they work in? What is the role they have at work? Do they work? 3. 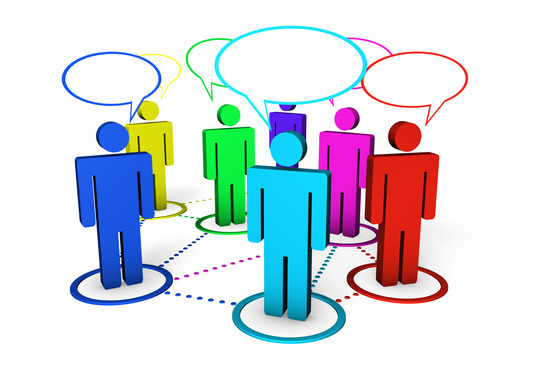 What is the online behavior of your target market? When are they online? What social network sites do they frequent and why? How often do they frequent them? Do they read blogs? Do they prefer video, audio, text or all of the above? 4. What language does your ideal customer talk in? What is the tone of their conversations? Are they more casual or formal? Are they using simple language or more complex? Do they use acronyms or will they be confused by them? Do they talk the same language and in the same tone of which you have been speaking to them? 5. What problems does your target market have and how can you help them solve them? 6. What are the core benefits you offer to your ideal customer? 7. What core benefits do you offer that are different than what your competitors offer or what they can get from replacement products or services? What do you offer that is unique? How is your product or service more valuable than the others? What can you do to drive higher value in the eye of your ideal customer? 8. What can you offer your ideal customer for free to attract them to you and your brand? One of the best things you can do to grow a Facebook community is to share your best content. Don’t hold back. What information can you share with them to help them meet their business or life goals? You can provide free blog posts, downloadable worksheets or white papers. You can offer training in the form of video, audio or a combination of both. 9. How will you measure success? It is imperative that you set goals and metrics for how you will measure results. How will you know if you were successful if you don’t know what successful looks like? Truth is you won’t. 10. When all else fails, ask your community. If you struggle with the answers to any of the above questions, try asking your community for answers. People love to answer questions. If you don’t know what they want, ask them. If you don’t know what problems they need solved, ask them. If you don’t know what keeps them up at night or how you can help them, ask them. Thoughts on this? Any areas that you would recommend adding? You need to Get a Grip on your Facebook Marketing! Complete Form to Receive Get a Grip Updates! Please complete form below to join list.